I thank you for your vote of confidence in me by electing me President. I am eager to keep this "boat" righted, dewatered, and underway again! I would love to hear from you as to how we can make this organization even greater. Send me an email to "FDR@indyblue.com". A little about me. I enlisted in the Navy Reserve on Sept 26, 1960, just 8 days after my 17th birthday, while still in High School. Each Monday evening, five of us drove 60 miles to Indianapolis to drill. Following graduation, ET"A" School Great Lakes followed in April 1962, by orders to the FDR where I served in OE Division for 2 years. I left Rosie in 1964 an ETR2 with a strong desire to design Radar. I attended Pur-due University and received my BS & MS in Electrical Engineering. I did spend much of my career designing Radar and Electronic Warfare equipment and Low Observables ("Stealth") features for aircraft propulsion system. Meanwhile, I stayed in the Reserve and was fortunate enough to make CTMC prior to being commissioned as a Special Duty Officer, Cryptology (1615). I had some interesting assignments and opportunities and was privileged to command several Naval Security Group units prior to retiring as a CDR in 1988. 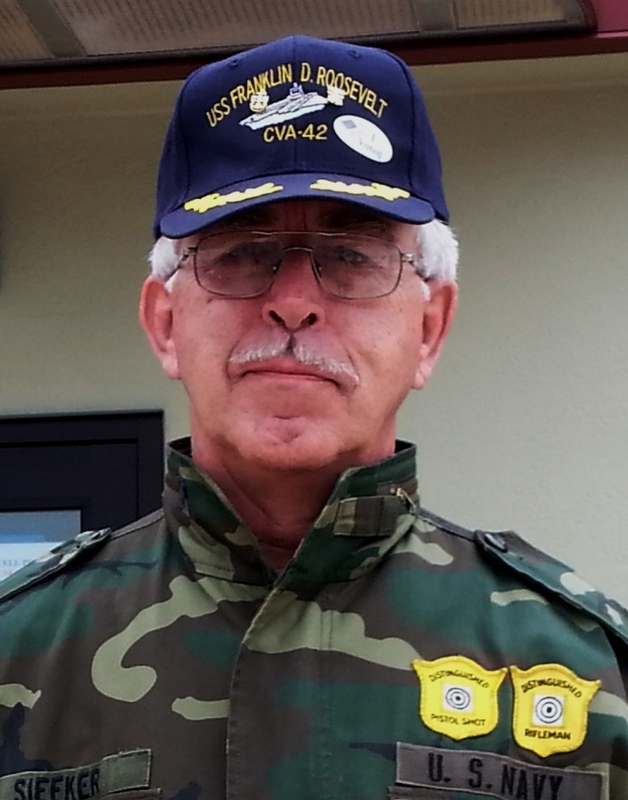 I was also a firing member of the Navy Reserve Pistol and Rifle Teams for nearly 20 years. I earned the Distinguished Pistol Shot and the Distinguished Rifleman awards along the way (at last count, less than 1,000 people have earned both since the inception of the program in the 1880's). I retired from my engineering job in 2004 and have spent the intervening years traveling with my lovely bride of 50 years, Theresa. I joined the FDR Reunion Organization about 6 years ago and have thoroughly enjoyed meeting and reconnecting with so many shipmates. Rosie had a huge impact on my life I did a lot of "growing up" during the two years I served in her. I look forward to getting to know those of you I have not yet had the privilege to meet.